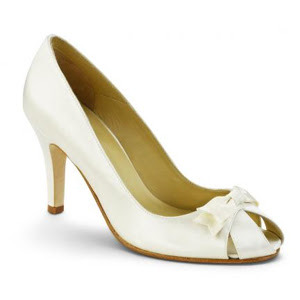 Grace Footwear is the most delightful bridal shoe company in the world, as far as I'm concerned. The peep toes in the photograph are the "Chelsea" style, seen larger below. I am literally drooling for a pair, dyed pale blue, to wear underneath my wedding dress.